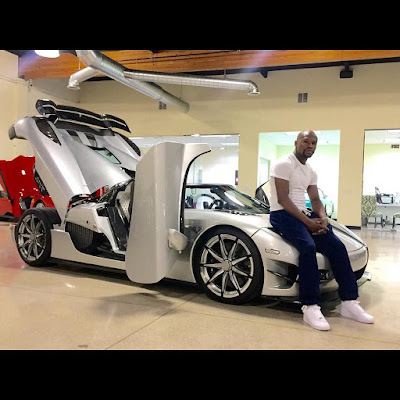 Guess what Floyd Mayweather has been doing with some of that Money he made of the fight with Manny? He splashed close to $5m on the Ultra Elite Machine pictured above, the car has only one more of its kind in existence. Can you beat that? Too much money!! Super Rich . They made only 2 TREVITA's for the World , and the one pictured above is the second one. It is also the only USA Spec TREVITA Built in the World. The car is Swedish Made and the word TREVITA means “ 3 Whites ”. Enthusiasts say the machine is a "Hyper Car" not even a Super Car.